Universal Analytics (UA) call tracking integration allows you to see phone calls and associated sales data in your analytics reports. Now you can see how phone calls compliment ‘online’ conversions such as form fills, e-commerce transactions, and other custom events. 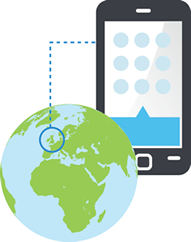 Alongside being able set-up phone calls as a ‘goal’, with your UA integration there is the added ability to integrate offline sales data generated from your phone calls, either from customers who purchase while on the phone, or for customers who later purchase – even if this is from a physical location. This data can be fed in automatically with no additional input or work from the call handler as the data comes straight from your CRM system(s). As the phone call record and sales data is tied to your visitors specific Client ID [that Universal Analytics assign], this offers the most advanced level of call tracking – allowing you to understand the complete picture from initial visit right the way through to sale. This includes understanding how search queries get refined throughout the buying cycle and the role each channel and different devices play in assisting your conversions and your sales. 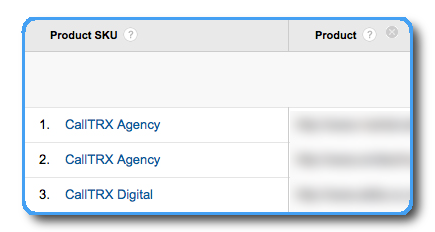 From your analytics reports you can now understand keywords that drive the most profit, as well as those that simply drive conversions. If you are displaying more than one number, for example showing a different number for new versus existing customers, these can also be tracked and reported on separately or together. For Universal Analytics call tracking integration is provided via the Measurement Protocol so there is also the ability to have a custom naming convention for your event category and action, and you can pick additional custom dimensions and custom metrics to be added to your reports – including which slot they use. The main difference between the Universal Analytics integration and the standard Google Analytics integration is that for the latter this was achieved using a virtual page view, to a page called “phonecall”, or similar. However, with the Universal Analytics integration this is now possible by using the Measurement Protocol. This allows more data to be integrated to your reports and gives greater flexibility. Calltracks will pick up the Universal Analytics Customer ID for each visitor to your website. Then if a phone call is made it can be tied back to this ID. Similarly if a sale is then made from the phone call the associated transactional data can also be included if you are running our Sales Linking module. Additional information that Calltracks capture can also be added via custom dimensions and custom metrics. You can pick which data you want added and even which slot they use – although no personally identifiable data can be added to Google Universal Analytics.